Millennial definition: a person reaching young adulthood in the early 21st Century. My brother is 26. He is one of the oldest editors at the media organisation where he works - the average age is 23. In the 3 years I spent training for ordination, his organisation had planted an online student newspaper in every university in the UK, most universities in the US and women’s website that receives millions of hits a week. How did they do it? Very simply through investing in, training and releasing local millennial leaders. Imagine if those newspapers were churches. In many ways I intensely dislike like the term ‘millennial’. I am a millennial church leader who spends a lot of time discipling other millennials. The majority of our church staff team and over half of our lay leaders in the church are millennials, a number that has been increasing steadily for the last 4 years. This is reflective of our area, but not always reflective of the church as a whole. I grew up in a church where my mum (not a millennial) was the next youngest person there. If we don’t transform the way we view and disciple millennials, we run the risk of losing an entire generation who right now have the skills and capacity to offer so much to the church. If we don’t learn how to disciple millennials well, they will still use their gifts and talents - just not in the church. So how do we harness the power of millennials in the church? I want to suggest 4 attitudes that, if challenged, will have a catalytic impact on discipling millennials. A few months ago, millionaire and property mogul Tim Gurner suggested on Australian television that if only millennials spent less on artisan coffee and avocado toast they would be able to buy property. Understandably there was a ‘minor’ backlash to this. Whilst it is an extreme example, I have certainly encountered similar attitudes in regards to the role of millennials at church. My experience has been that you get what you expect to get from people. When we assume that generational stereotypes are to blame for an individual’s behaviour, we lower our expectations of them and limit our vision for their potential. In contrast I’ve found that when you raise the bar on expectations (having clearly communicated what the expectations are), the majority of millennials do step up. When you are in church leadership, a large amount of time (regardless of church size or style) will be spent trying to find volunteers for various ministries and programs. There’s a danger that we can get in the habit of discipling people towards a program or specific activity in order to fulfil the job of ‘keeping the machine moving'. The question we like to ask at Hope Church is: ‘If we were training this person to lead a church, what would help them to get there?’ In our area millennials often only stay for 2-3 years (usually due to housing cost/life changes). A large part of our vision as a church is centred around the question: 'how can we help this person to become the best follower of Jesus they can be in whatever church they end up in?’ Sometimes this means ‘the machine’ runs less efficiently but, far more often, we’ve found you end up with bought in leaders who take ownership of the opportunities they are given because they see the bigger picture. Being a church that regularly plants churches is one of the best ways to see this play out - right now are there a couple of young adults in your church who, with the right training and support, could start a small church community or new congregation? Where could you take a risk in letting a millennial leader create something creative and new? 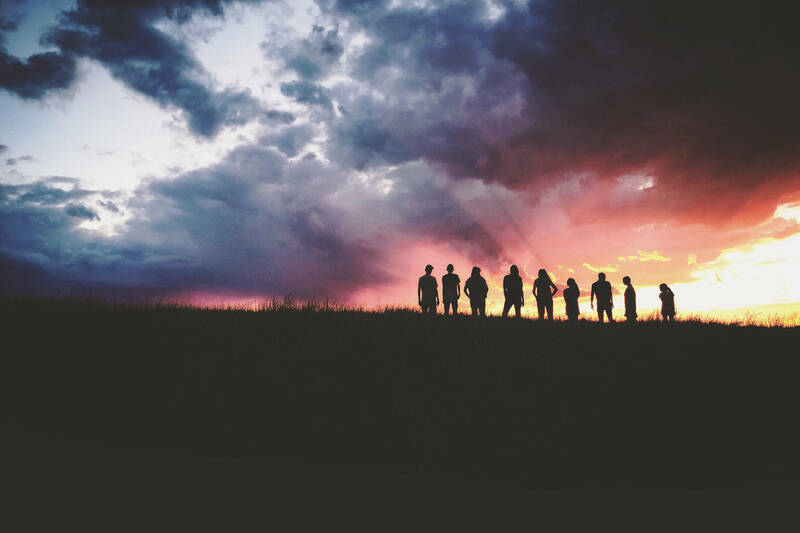 The reality often is that in any church or community group there can be a tendency for groups of people to default to gathering together with others who are just like them. The reality of the Kingdom of God, that Jesus speaks of, seems to speak of a community that is quite different. It is becoming more and more possible in wider society to create something of a ‘Filter Bubble’, whereby you only spend time with, see content on social media from and engage with those whom you choose to. What do we say about the Kingdom of God when we offer primarily age specific groups? One of the brilliant things about church is the opportunity to get to know people of all ages. This is something that can be really helpful in widening the worldviews of the whole congregation (also in breaking some of the assumptions of my first point). Discipleship based around a missional activity such as running a night shelter works really well in doing this, as it creates a shared vision that is really healthy for forming friendships. Note - it’s dangerous to fall into the trap of creating solely ‘mentoring’ generational relationships here. Whilst they are helpful they can also create an attitude that older/younger is always reflective of where wisdom is situated - not always the case! We need to stop thinking about how we should disciple millennials. That seems counterproductive right? Surely the whole point of this blog is that we should focus on millennials? Well yes and no. If by this point millennials are serving in all levels leadership throughout your church and integrated throughout different ministries, they are already being discipled. The reality is though, that we millennials are not that young anymore. There is a whole generation of young people far younger that 20’s and 30’s, who we desperately need to engage right now. We can’t simply invest in one generation because it’s claimed a current buzzword at the expense of the generation to follow. There is good news here however: if we can create cultures now, that give away power and opportunities, that allow risk, and that encourage a multi generational kingdom vision we will create disciple-making culture. Millennials who have been placed in positions of power have a responsibility to ensure that we give away our own power, platform and authority to those following after us.